Home � Disney World News , Epcot , Epcot Attractions , New At Disney World , Soarin' � Epcot Soarin' Around The World Debuts on June 17! Epcot Soarin' Around The World Debuts on June 17! 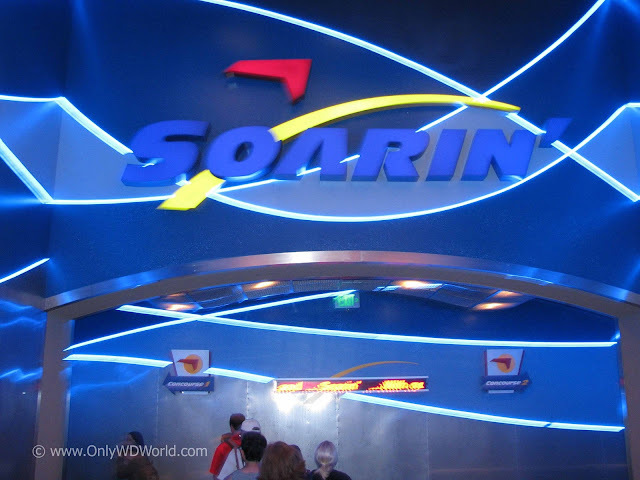 For Epcot guests there may be no better attraction than Soarin'. This hang glider simulation has been a hit since it opened in May of 2005. The original version of the attraction featured a visit over California in a way that has never been experienced before. This has been a landmark attraction that guests clamor to ride again & again & again! Disney has finally decided to change the scenery and create a version of this attraction that brings guests not to just California, but takes them across the globe to se iconic sights from a perspective never experienced before. These are among more than a dozen breathtaking ways you’ll be able to experience the wonders of the world when Soarin’ Around the World makes its groundbreaking debut across the globe this summer. The next generation of the popular Soarin’ attraction makes its premiere at the grand opening of Shanghai Disneyland this summer as Soarin’ Over the Horizon. The next day on June 17, guests at Disney California Adventure park at the Disneyland Resort andEpcot at Walt Disney World Resort will be able to board the exhilarating aerial adventure that immerses you in a multi-sensory experience, complete with stunning sights, spectacular sounds and even subtle scents. Fastpass+ will be an option for Soarin’ beginning Thursday, April 21. Could you feel the mist from the harbor? What a view! In addition to the new film, the Epcot attraction also added a third theater and reimagined its interactive queue. What destination are you looking forward to flying over in Soarin’ Around the World? 0 comments to "Epcot Soarin' Around The World Debuts on June 17!"